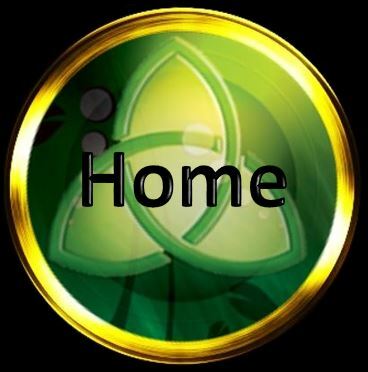 Inspired by thoughts of the book of Kells, we decided to create a banjo to try and convey some of the richness of that wonderful bible. 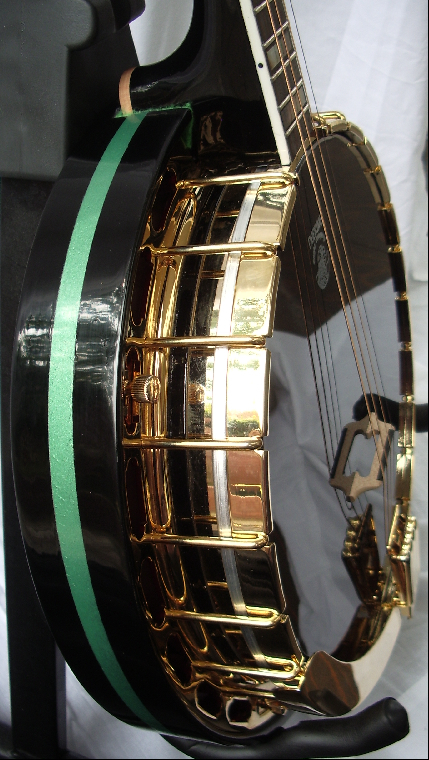 THIS IS THE RESULT, OUR EXQUISITE black and gold EMERALD KELLS 17 fret FLAT TOP TENOR BANJO. 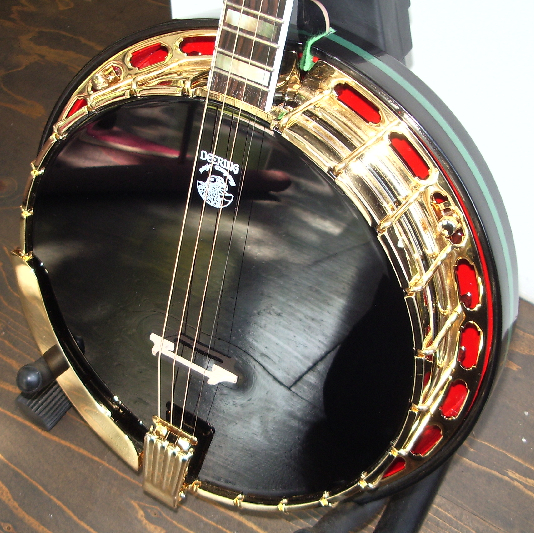 This is a limited edition of only 10 banjos. 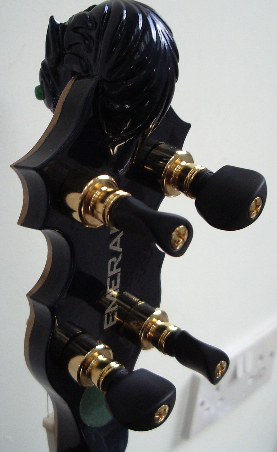 There are still a few numbers left in this edition which leaves the onlooker in no doubt that he is seeing and hearing a beautiful and rare product of the luthier's art. 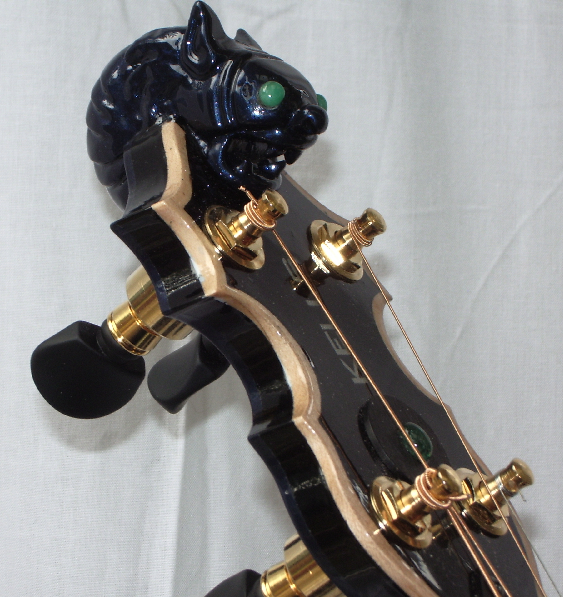 Solid maple throughout with exquisite artwork and glittering abalone decorations including a real emerald set into the peg board and emerald eyes in the grotesque which is hand carved from the solid, so the one on every banjo will be slightly different. We sometimes wonder who's got the prettiest one.